“The Game: The Game” is a video game presenting the practices of several prominent seduction coaches (aka pick-up artists) through the format of a dating simulator. In the game these pick-up gurus attempt to seduce the player using their signature techniques taken verbatim from their instructional books and video materials. 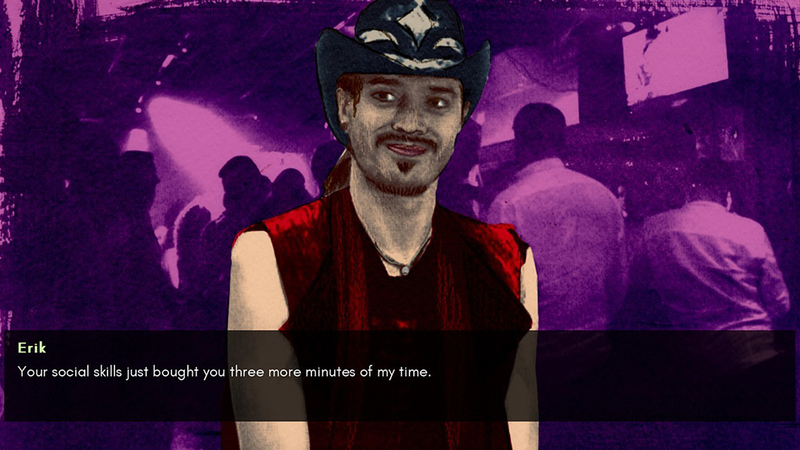 Pitting players up against six prominent seduction coaches who are vying for your attention at a bar, the game provides the opportunity for players to explore the complexity of the construction of social behaviors around dating as well as the experience of being a femme-presenting individual navigating this complicated terrain. It is accompanied by a musical score thoughtfully composed by Xiu Xiu. IndieCade is a leading international event dedicated to celebrating independent games from around the globe. This year’s edition was held October 12-13 at Santa Monica College Center for Media and Design.